There are few traditions in the DC area more beloved than an annual walk beneath the branches of 3,000 blossoming cherry trees lining the Potomac River. 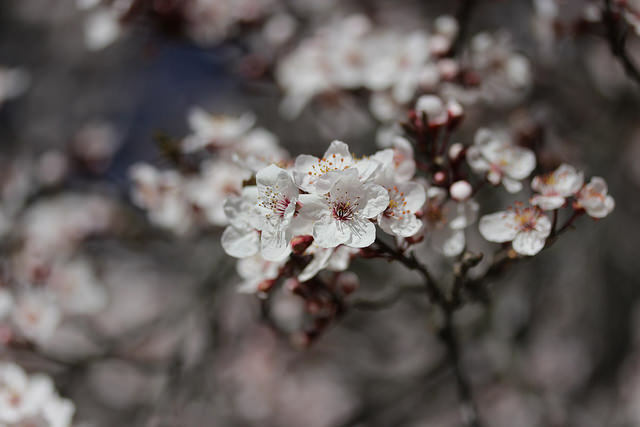 This year, the National Cherry Blossom Festival takes place through April 16, so be sure to set aside time in your schedule to enjoy this spectacular springtime event. The cherry trees were a gift of friendship from Tokyo to Washington back in 1912, and today the annual blossom festival continues to commemorate the special relationship between the two countries. To start your visit, head to the Tidal Basin, which is the main blossom-viewing area, and if you're especially adventurous, consider renting a paddle boat to take in the view from the water. If you'd prefer to remain on dry land, you might take a few minutes to visit the Jefferson Memorial, the FDR Memorial, and other sites on the nearby National Mall.